You can purchase the books directly from this website by clicking the 'Buy Now' button below. 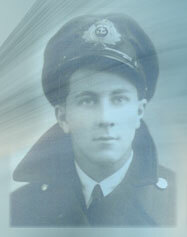 Born in Kingston upon Hull in 1925, Jack Close describes growing up in the 30's, becoming a Post Office Messenger in 1940, delivering telegrams by cycle around a badly blitzed city and being bombed out in 1941.
with a U-Boat pack which was menacing his convoy in the Atlantic. After the war he sailed on tramp steamers and tankers all over the world under various flags, going through the eye of hurricanes and being threatened with a knife in mid-ocean. Whilst on deep-water trawlers he experienced a near-catastrophic storm inside the Arctic Circle. Jack married Eileen in 1955 and in 1958 they left England for the South Pacific, their adventures being recounted his second book South Pacific Adventure. 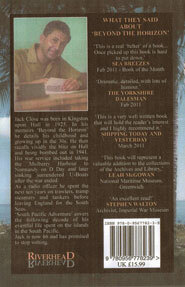 "Jack is an excellent descriptive writer" - John Markham, Hull Daily Mail. 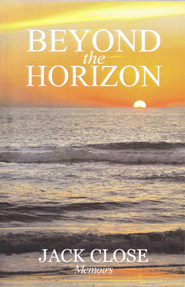 Beyond The Horizon is available now for £12.99 plus £2.25 postage and packing (UK). Delivery will be made by Royal Mail Recorded Delivery and will usually arrive next working day. BEYOND THE HORIZON was tremendously well received by everyone, from leisure and maritime readers to professional historians alike and was made Book of the Year by Sea Breezes magazine. It already represents 'a valuable addition to the collections of the Archives and Library' at the National Maritime Museum in Greenwich, and has been catalogued and made available to researchers in their reading room. It is also held in the Archives of The Imperial War Museum. The sequel, SOUTH PACIFIC ADVENTURE, which combines Jack's storytelling skills with a number of fascinating photographsof life in the South Seas, looks certain to be equally popular. 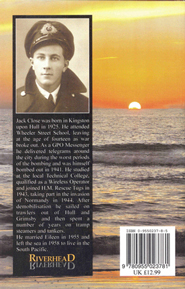 The book continues Jack's remarkable story and follows on from where BEYOND THE HORIZON concluded, covering the ten year period that he and his wife Eileen spent in the South Pacific from 1958 to 1968. We believe that you will want to discover how his highly entertaining, well-written and thoroughly readable story concludes. 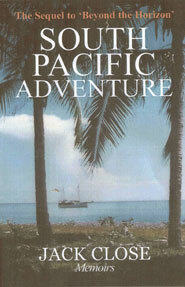 South Pacific Adventure is available now for £15.99 plus £2.25 postage and packing (UK).